Cove Bay is the only major beach in the West End without a hotel on it. 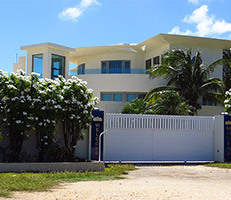 Cove Bay faces St. Martin between Rendevous Bay (or Merrywing Bay) and Maundays Bay (Cap Juluca). 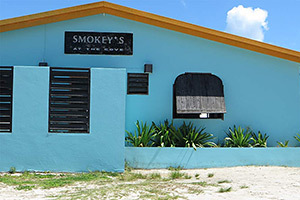 To get there, turn south toward St. Martin at the gas station in West End, where the sign points to Smokey's. 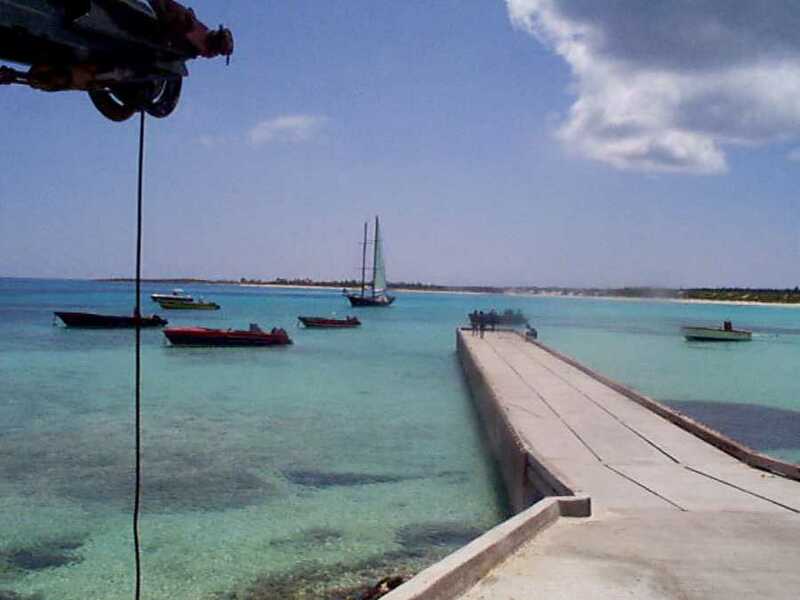 Drive straight to the water and you will find a long, curved beach with fishing boats anchored on the left, one restaurnt restaurant and about a mile of beach to the right with no development at all. 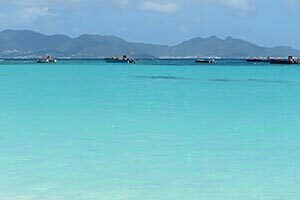 Sometimes there is a day-trip boat from St. Martin with people playing on the sand, but it is a big beach. Cove Bay is a popular place for local picnics. 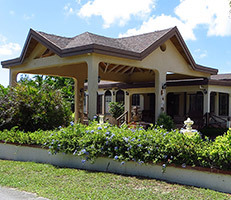 Accomodations nearby include the high end Modena Villa villa and Paradise Cove resort. 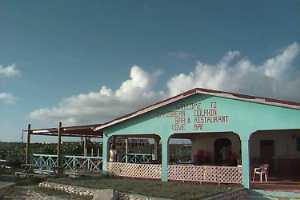 In the area you will also find Seaside Stables and Poker's Plank restaurant. 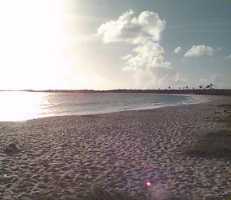 Cove Bay is the long curving strand of white between Merrywing Bay and Cap Juluca. 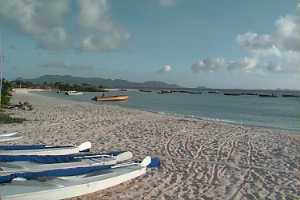 There is a pier for the local fishing boats at the far left (eastern) end of the beach. It looks very nice and children love jumping off it into the water. It doesn't detract from the empty charm of the rest of Cove Bay. 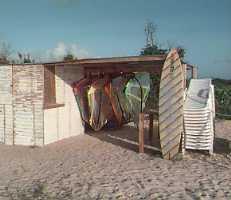 These photos features Dandy's watersports business, which used to be on Cove Bay before moving to Shoal Bay.